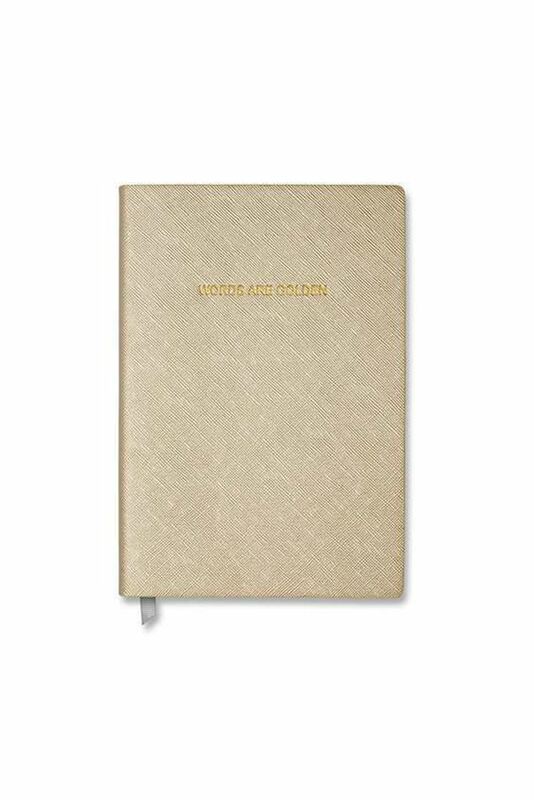 Introducing an exciting new addition to this seasons collection; notebooks! Finished in metallic gold, this particular notebook is etched in gold to read 'marvellous moments'; inside contains soft lined paper and a grosgrain page marker. Note take in style with this pretty notebook.